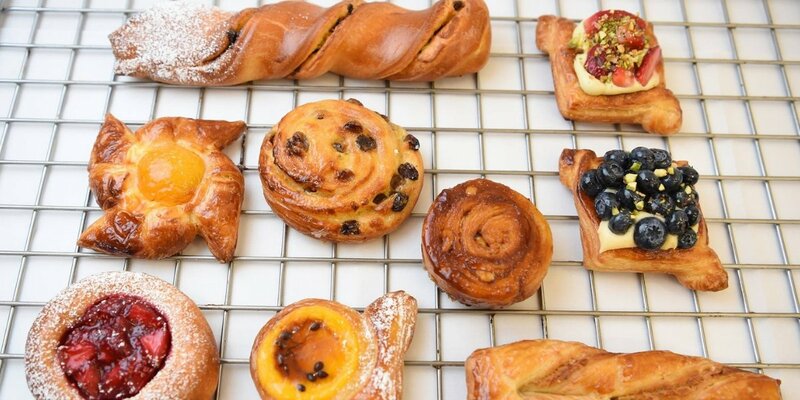 What are pâtisserie, boulangerie & viennoiserie? 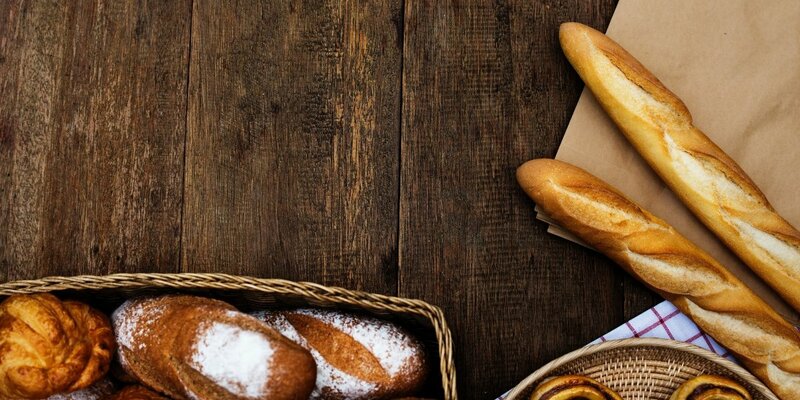 Pâtisserie, boulangerie, and viennoiserie – in the culinary world, you need to know what these commonly used French terms mean. Pâtisserie is used to describe French pastries and the pastry shop they are sold in. 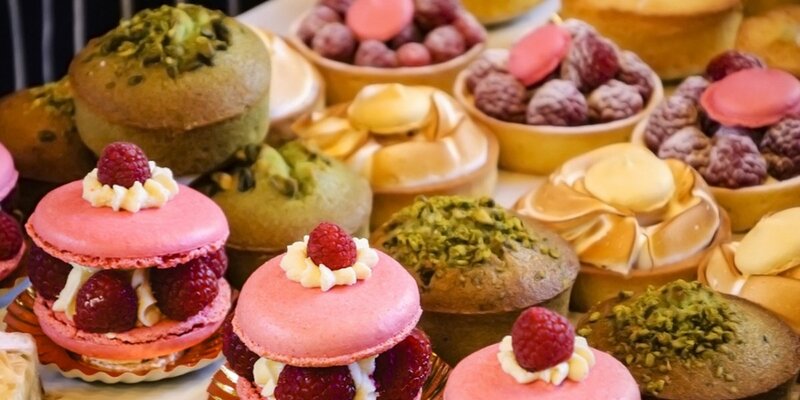 Although the word is used quite liberally in English-speaking countries, in France and Belgium the law restricts its use to bakeries who employ licensed maître pâtissier (master pastry chefs). Creating pâtisserie requires training, at Le Cordon Bleu you will study classical techniques (from basic to advanced) to learn how to create such delicate items. As many of the pastries are intricate, only a well-trained hand can execute them flawlessly. Mille-feuille: A dessert comprised of layers of crème pâtissière and puff pastry. The top is traditionally sprinkled with sugar, but is commonly seen finished with combed icing. Paris-Brest: Created in 1910 to commemorate the bicycle race from Paris to Brest and back, this dessert is made of choux pastry in the shape of a wheel and filled with praline cream. Croquembouche: Traditionally served at French weddings, this is a tall cone of profiteroles (choux pastry filled with crème pâtissière) bonded with threads of caramel and often decorated with sugared almonds or chocolate. Baguettes: The most well-known French bread, there are many styles of baguette however all are long and thin. Pain de campagne: A thick-crusted loaf baked with a combination of flours - perfect for eating with soups and stews. One key difference to note between a French baker and a pastry chef is that while pâtissiers work with mostly cold ingredients, a boulanger (or baker) will master the techniques and processes of warm rising dough. Learn more about traditional French baking in a specialised Le Cordon Bleu short course. Viennoserie refers to breakfast pastries made in the style of Vienna, Austria. 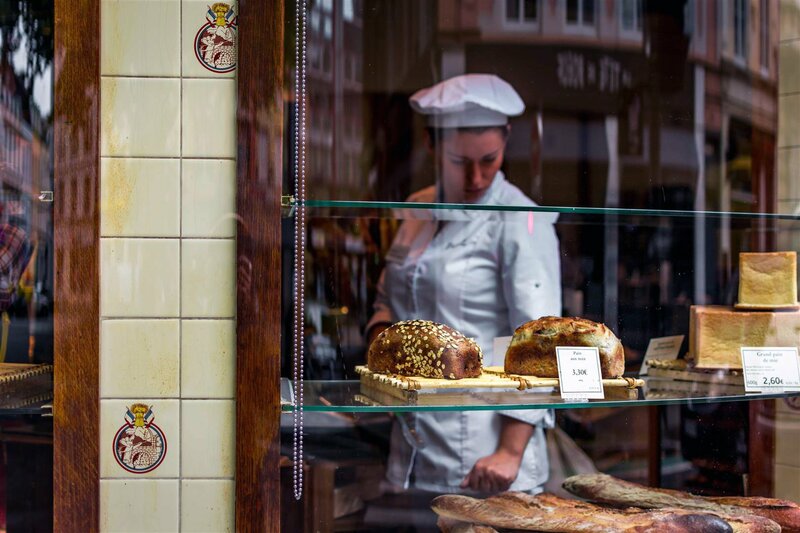 While they did not originate in France, viennoiseries rose to prominence after an Austrian military official, August Zang opened a bakery Boulangerie Viennoise in Paris, bringing new ideas to French pastry circles. Viennoiserie is the 'bridge' between pâtisserie and French bread. These goods are typically made with white flour and active yeast cultures, which cause the dough to rise quickly and achieve the perfect flakiness. Some are instead made using an enriched puff pastry. Brioche: A viennoiserie made in a similar way to bread, but with the richer aspects of pastry due to its high egg and butter content. Croissants: This famous French food is made using a laminated pastry dough enriched with yeast and milk. Alumna Matilda Smith set up her own patisserie, Penny for Pound after studying a nine-month Diplôme de Pâtisserie (SIT31016 Certificate III in Patisserie) at Le Cordon Bleu. She now employs six full time staff, produces thousands of pastries each week and has a retail expansion underway. In 2018 her business featured in Epicure, Good Food, Broadsheet Melbourne, Urban List and Concrete Playground, and won 'Best Donut in Melbourne' at 2018 DonutFest. Read about Matilda's pâtisserie business here. Contact Le Cordon Bleu today to learn the techniques of French pâtisserie and cuisine - choose from our patisserie programmes or specialised short courses.